Thereâ€™s no denying the global success of Angry Birds. The game, in which one simply throws birds at pigs to score points and move onto another level of the same activity, is available on nearly every kind of desktop and mobile platform there is. Chrome browser app, iPhone app, Nook Color app. You name it, and if it doesnâ€™t have Angry Birds, well itâ€™s probably on the way. Thus, the idea that the popular gameâ€™s maker, Rovio, could be worth hundreds of millions or more by now isnâ€™t all that surprising. Bloomberg reports that the Finnish company â€œis in talks to receive funding that would value the company at about $1.2 billionâ€ based on two unnamed sources who have â€œknowledge of the discussions.â€ Yet, the identity of said investors has not been revealed as the talks are private. 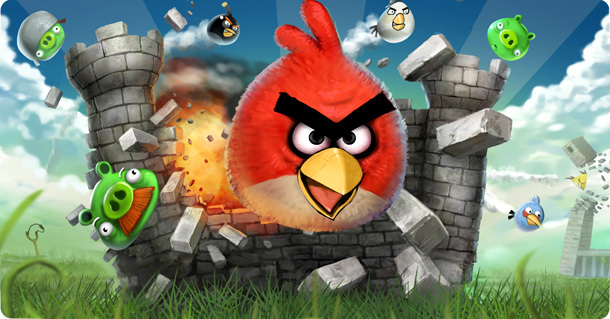 However, Rovioâ€™s success is largely based on one game. As popular as the original Angry Birds is, Rovio is going to need more games and related products to keep that valuation growing. Weâ€™ve already seen some evidence of that, with holiday spin-off versions of Angry Birds as well as a special Rio edition tied into the cartoon movie of the same name. Bloomberg adds that Rovio is also selling Angry Birds merchandise, such as stuffed animals and clothing, which should help the money pot overall. Kids (and sometimes kids at heart) love that stuff. We also saw some Angry Birds-themed iPhone covers last year.